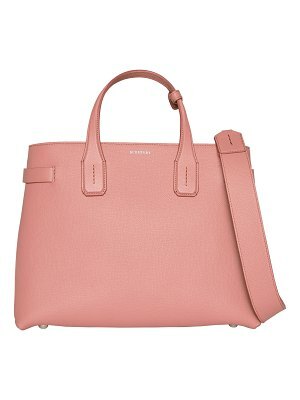 Side buckle fastenings add a bit of equestrian-inspired style to this compact tote done in a chic, fresh hue. 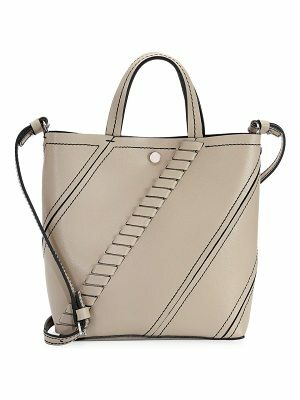 Crafted from grainy leather highlighted by Burberry's distinctive House check side panels, this bag features rolled handles and an optional strap for crossbody or over-the-shoulder wear. 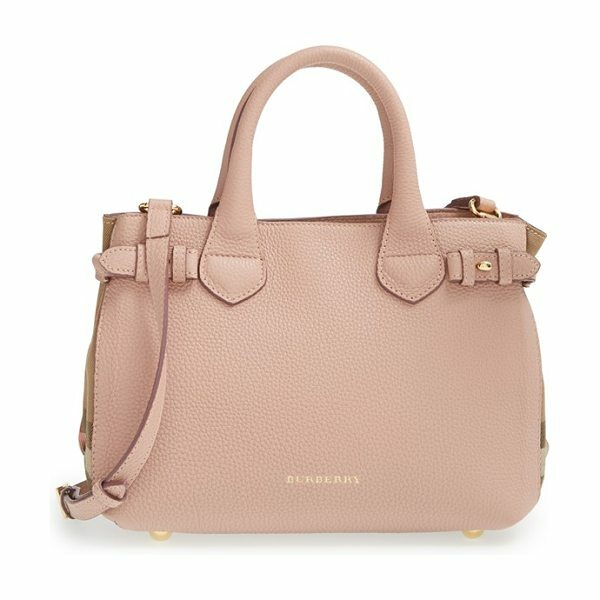 Interior pockets organize your tech and other fashionable essentials, while gleaming goldtone hardware and hand-painted edges provide a beautiful finish. 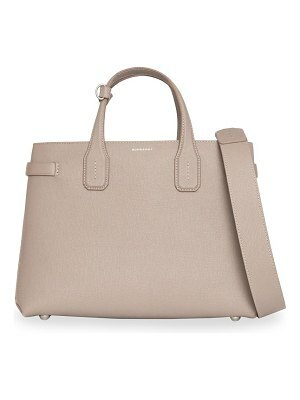 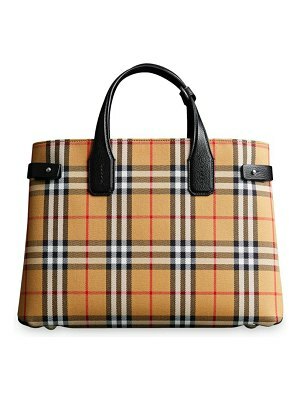 Style Name: Burberry 'small Banner' House Check Leather Tote. 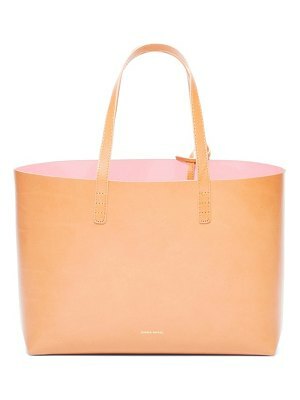 Style Number: 1045598 1. Available in stores.